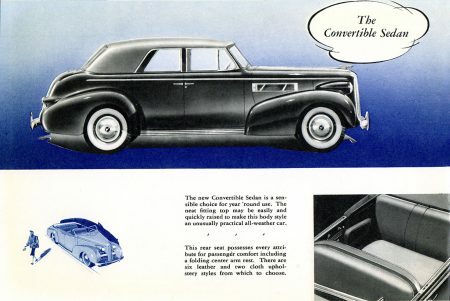 This 20-page catalog/brochure showed off all five 1939 models and their impressive technology and design, illustrated profusely in a 2-color streamline style. 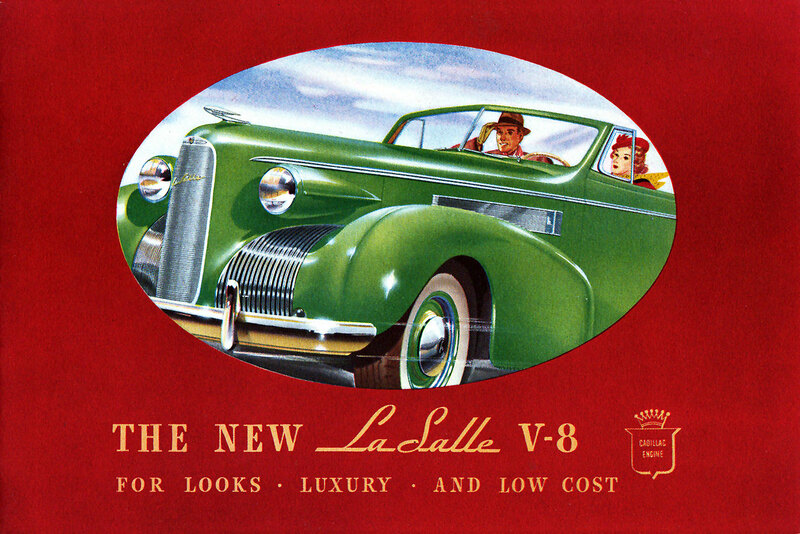 Even the people are streamlined, right down to a fedora that stays attached while riding in a convertible. 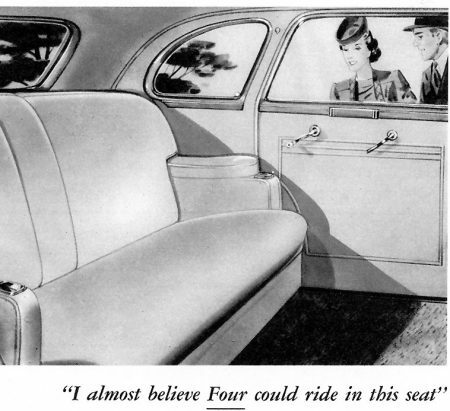 And that back seat looks like it would not only fit four, but probably hides a small kitchenette and bunk bed in the armrests next to the ashtrays. Click to zoom in to details.